SHANGHAI, April 18 (Reuters) – The global lithium industry will need $10 billion-$12 billion of investment over the next decade to meet surging demand amid the electric vehicle boom, an executive of Chilean miner SQM said on Wednesday. Demand for the metal is set to grow by 600,000-800,000 tonnes of lithium carbonate equivalent over the next 10 years, Daniel Jimenez, senior commercial vice president at SQM, said. Lithium carbonate is a chemical used to make batteries for electric vehicles. "There is a legitimate concern on the side of the vehicle manufacturers." "So a lot of capital needs to be put on the table for this to materialise, which is a challenge," Jimenez told the Metal Bulletin Battery Materials Conference in Shanghai. Some original equipment manufacturers, such as battery producers and some car manufacturers, "have started to get involved in lithium projects, financing or co-financing the development," he added, citing Toyota Motor Corp and Great Wall Motor as examples. "This is a trend we will probably continue seeing because there is a legitimate concern on the side of the vehicle manufacturers" over the reliability of supply sources, Jimenez said. In addition, the lithium industry "has shown a poor track record of delivering projects on time," he added. SQM, officially known as Sociedad Quimica y Minera de Chile, currently has annual lithium carbonate production capacity of 48,000 tonnes in Chile, which it will expand to 70,000 tonnes by mid-2018 and to 100,000 tonnes in 2019, Jimenez said. The company also has 6,000 tonnes of annual capacity for lithium hydroxide, used in high-nickel content batteries, which will more than double to 13,500 tonnes by June this year. 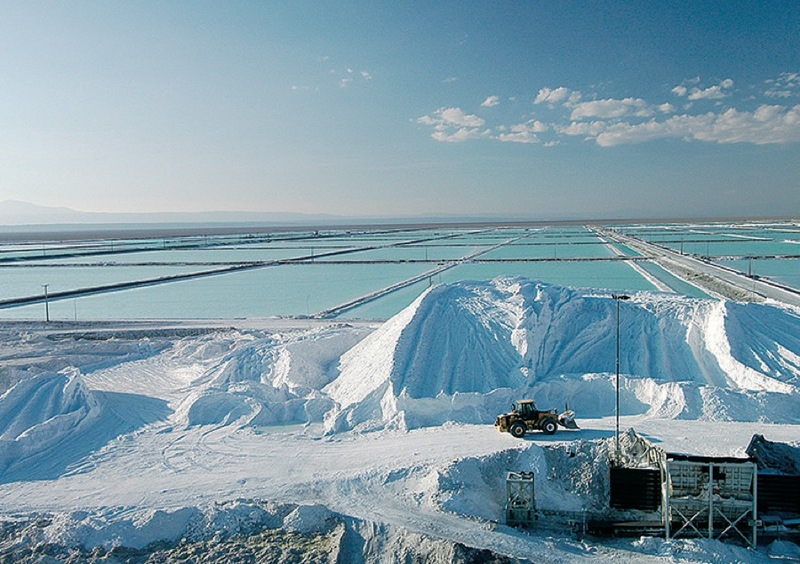 Under a deal struck with Chilean development agency Corfo in January, SQM will be able to produce up to 216,000 tonnes of lithium carbonate a year through 2025 if it makes certain investments and obtains the relevant permits. However, the company has not yet decided whether to go beyond 100,000 tonnes. Corfo has also asked antitrust regulators to block the sale of a 32 percent stake in SQM held by Nutrien Ltd to Chinese lithium producer Tianqi Lithium. Outside Chile, SQM has a joint venture with Lithium Americas at the Cauchari-Olaroz project in Argentina, which has a targeted production capacity of 25,000 tonnes of lithium carbonate per year and is expected to come on line around 2020. In Australia, SQM partners Kidman Resources at the 40,000 tonne per year Mount Holland project, which is scheduled to start producing either lithium carbonate or lithium hydroxide in 2021.